Owing to our vast experience of the industry, we are offering Industrial Tools. 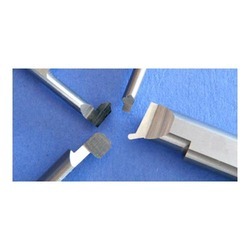 Under this category, we offer our clients a wide assortment of Single Point Tools and Cutting Tools. These are designed and manufactured under the supervision of professionals using superior quality raw material and latest machines in compliance with industry standards. In order to meet the diverse needs of clients, these tools are offered by us in standard sizes. Innovation is our forte and we strive to design and develop Single Point Tools. Manufactured by the experts following industry standards, these can be availed by the clients in various shapes and sizes as per their needs. Owing to the attributes such as sturdiness, resistance against corrosion & abrasion and high strength, these are widely acclaimed in this market. We offer these point tools to the clients at market-leading prices.